Things are starting to warm up and turn green outdoors and you’re probably thinking about your lawn. The grass is starting to grow and flower beds are ready for color. Unfortunately, lush green grass and colorful flowers aren’t the only things that are getting ready to grow. Weeds are a nuisance to any lover of lawns but we’ve got some helpful tips to keep your outdoors weed-free. While you’re working to improve your lawn, a once a year makeover will help condition the soil and grass and keep weeds at bay. Start with a soil test to analyze and determine the pH level of the soil as well as what deficiencies your soil may have. It’s important to know what you’re working with soil-wise so that your grass has a healthy foundation. During this annual makeover, remove weeds and dead grass before using your soil analysis results to add what amendments are needed. Once your soil is in good shape you are ready to plant new grass seeds to fill in brown or bare spots and crowd out weeds. Continue this yearly makeover until your lawn is maintaining health and appearance. You can then wait a few years between makeovers. Now that you’ve given your yard a good start, there are routine tasks to keep it on track between makeovers. A small amount of thatch, the plant material between the grass blades and the soil, is good for your lawn. It provides water retention, insulation, and shock absorbency to your grass. If the thatch becomes too thick, however, it can get in the way of grass growth by blocking natural light, holding too much moisture, and creating a barrier between nutrients and grass. Dethatching can be done with convex or power rakes. You can aerate your lawn to loosen up the soil and keep the thatch from becoming too compact. Aerating perforates the ground causing tiny holes that make it easier for sun, air, and water to move beneath the roots. 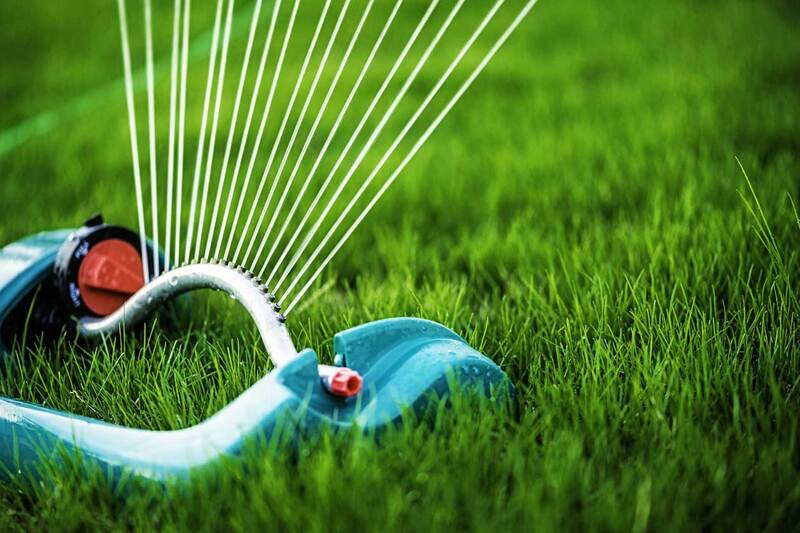 You can use a spike aerating tool that will make holes in the soil or you can use a tool that will pull plugs from the soil, which can then be left to decompose naturally, adding nutrients back into your newly aerated lawn. Adding grass seed can be a full yard-wide project, or it can be a spot-treatment for stubborn patches. Talk to a professional about the type of seed and planting time that is best for your area and type of soil. Extra seeding can even help lawns stay green longer into fall and winter and boost the green in stubborn bare spots. The healthier the grass you have in your lawn, the less room there will be for ugly, invasive weeds. Maintain your newly lush lawn by providing the right amount of water and nutrients. When applying healthy fertilizer to your grass timing is important. Soil must be moist before fertilizing so a thorough watering by you or a rainfall is necessary. After fertilizing, water again. This second watering moves the fertilizer from the grass and down into the soil. Don’t water too heavily after fertilizing, however, because you could wash it away completely. This is particularly important to keep in mind if you have a lawn that isn’t flat. Mowing your grass might seem like an obvious step but there are good and bad ways to mow a yard. Mowing too short, with your blade too low, leaves your soil too exposed and invites weeds back in. Mowing your grass every 5-7 days during peak growing seasons is a good rule of thumb to go by but your eye is your best gauge. Letting grass get too long can make it hard to mow and grass becomes weak-bladed and unattractive. Over-grown grass is also an invitation to a lot of pests and, of course, weeds. The height you should try to keep your grass depends on the type of grass and the season but most recommended grass levels fall between 1 and 4 inches. A sharp mower blade is important to cut grass properly so that you’re not tearing or making jagged cuts. A healthy yard is a weed-free yard but a weed-free yard is also a more attractive, useful yard. While it might seem like a lot of work in the beginning, putting effort and time into your lawn now will make it easier to maintain and enjoy for years to come. Maggio Lawn Care Services is a 100% Canadian owned company providing year-round services at an unsurpassed level of quality and reliability. Our professional, fully trained, uniformed staff is proud to work on your property as if it is our own. We have the equipment to maintain any property and have it looking its best. Call today and we will be happy to answer any of your questions. Customer satisfaction is our top priority. We treat your lawn as if it was our own!